When we think of book marketing and publicity, what comes to mind is fame, fortune, and success – as in we hope to generate a buzz that brings us all of those things. What tools and resources and gadgets do we have at our disposal to achieve our promotional goals? Back in 1872, the typewriter was created. We didn’t yet have the phone, but there was the telegraph, and soon the phonograph. There was the mail system, though it was much slower than it is today. Everything was harder to do and slower to happen. Now look at today. Everything is too fast. We can send messages across the globe instantaneously, without anyone’s approval needed. We can tour the world without leaving our bedroom, via Skype, email, phone calls, webinars, radio interviews, and social media. In the 80’s, fax machines and desktop publishing moved the book publicity world. The 90’s saw the Web take off. The 2000’s centered around digital commerce and the 2010’s is all about communicating via a smartphone, from podcasts and Tweets to YouTube videos and emailed press releases. Book publicity moves at the speed of technology, but it still takes skills- not just devices – to get a message out there. Rather than look at technology and think of how to exploit it (not that there’s anything wrong with that), think of content and substance first, then delivery methods and devices second. Instead of saying “I need to blog something today” first let your good ideas and positive intentions dictate your message. We often confuse resources with obligations. Just because Facebook stares us in the face doesn’t mean we have to live and die on it. There are many message delivery systems out there but none will help you with developing a great message that you believe in. Okay, so start to think about what you want to say and why it would be seen as important or interesting by others. Now carefully select words that give a certain tone and authenticity to the message. Next, think of the catchy headline or subject line that will make people want to explore your message further. Once you feel you have something truly newsworthy to share, the tools will be here for you. You can say it in 50 different ways – radio interviews, podcasts, videos, TV interviews, newspaper articles, blogger reviews, magazine interviews, newsletter features… and on and on and on. Lead with a great message and the tools to get it out there will be at your disposal. And then a new platform will be invented and added to the mix. How Do You Celebrate Author Birthdays? Is It Retarded Not To Use That Word? Do We Have Freedom of Information? Who Wrote The Book For Online Sports Betting? Will You Spend Your Tax Refund On Books? 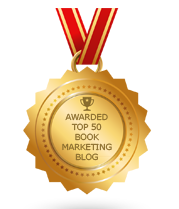 Is Speed Marketing For Authors & Book Publicists? 33 Ways To Celebrate Books: Can You Name More? How Will You Convince The Media To Interview You? Would You Vacation In Book Town?